Nice material. Fit is lacking. Headed to the tailor soon. Response from Charles Tyrwhitt: Thanks for sharing your feedback with us following your very first order. While it's certainly disappointing to read that not everything about your purchase was positive, I hope it does give you a better idea of which fit to order either as replacements for these shirts, or on a future purchase. With the Slim Fit being a "regular" fit, you may well be better suited to the Extra Slim - or even the Super Slim - Fit instead. We would gladly accept these shirts back from you for an exchange, so I hope you will give one of the slimmer fits a try. I bought slim fit and they were huge. Like tents. 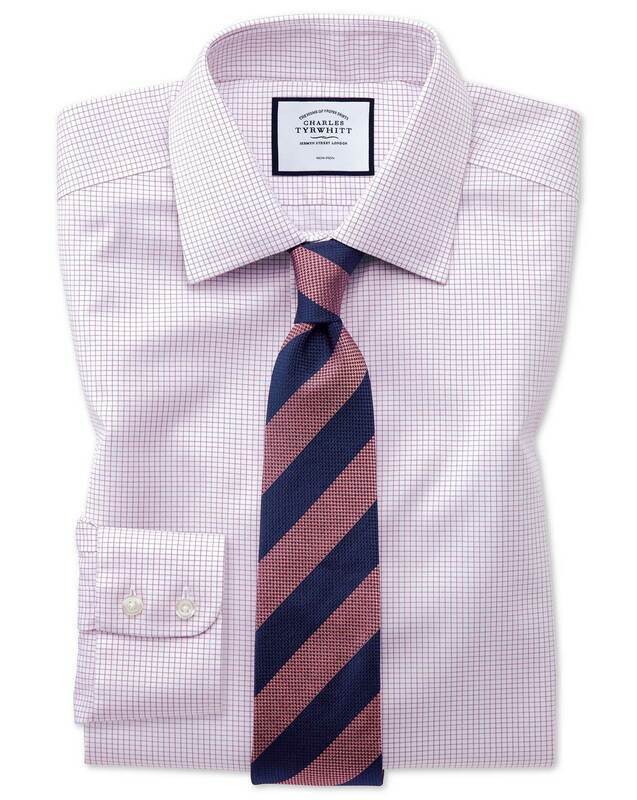 Response from Charles Tyrwhitt: It can sometimes be a little tricky to gauge the best fit to choose when ordering for the first time, so I am sorry that these shirts were too big. We offer both an Extra and Super Slim Fit for our formal shirts, so I would definitely recommend popping these back to us for an exchange. The Extra Slim will provide some tapering in the body through the waist, while the Super Slim is the slimmest fit we offer. Fingers crossed, we can provide you with replacement shirts which fit perfectly!